When people say they are afraid of flying, really they are afraid of crashing. The fact is that flying is one of the safest forms of travel if you compare the annual number of actual crashes with the number of flights. Of course, only the crashes are newsworthy further reinforcing any latent fear. Further, in the majority of emergency landings, most if not all of the crew and passengers walk away from the flight or at least do not suffer serious injury or die. But like most irrational fears and phobias, the facts mean nothing to the person with the fear. Sometimes the fear of flying was learned from a parent or accompanying adult. I know my uncle instilled his fear in his daughter and she did not fly anywhere until she had to start flying for business in her 30s. Irrational fears are often copied or modeled from someone else eg spiders, mice, dogs, the dark, needles etc. A fear of something life-threatening or potentially harmful is rational but to the extreme, the irrational fear can be severely debilitating. It is sensible to fearfully respect a Rottweiler or Pitbull Terrier but irrational to fear a toy poodle or a small yapping dog. The fear of being burned alive is understandable whilst a fear of lighting a candle is not. If the fear has been learned, it can be unlearned, reprogramming the unconscious to react in a different way. Of course a fear of flying may have started due to an actual flying incident whether an actual crash or just a difficult flight due to severe weather conditions. If severely traumatic, it may be advisable to re-visit the event under hypnotic regression and remove the emotional reaction and see it for what it was ie something which happened once but that does not mean it will re-occur. Sometimes hypnotic regression reveals a seemingly trivial event or emotion which has nothing to do with flying but may have happened just before a flight causing the mind to set up a trigger leading to anxiety. I read a case history of a man with a fear of flying whose hypnotic regression revealed an emotional parting with his fiancée just before a flight. Once he revisited that experience, he released the anxiety about flying. If someone seeks CBT (Cognitive Behavioural Therapy) for any fear or phobia, they will typically be exposed to the fear in stages leading to dealing with it face on and perhaps provoking a severe reaction. This is the process of desensitization. I personally do not see why it is necessary to expose someone to an extreme version of the fear to allow them to overcome a daily fear. Treating fears and phobias with hypnosis is very different. Hypnosis is a deep state of physical and mental relaxation in which the conscious mind allows access to the unconscious mind where there is no resistance. New positive suggestions are given to the unconscious mind to allow a fast change in how the person views whatever was causing the fear. A fear or phobia can be overcome very fast, in 2-3 sessions or sometimes in one session if the NLP Fast Phobia Cure is used which scrambles the fear in the unconscious mind removing it in about 15 minutes. Impressive? Definitely. Personalized hypnotherapy is always the best course of action to deal with the precise cause of the fear and lead the person to a successful result. 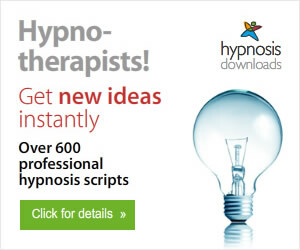 However, if this is not possible, a download hypnosis mp3 to overcome fear of flying is available along with a professional hypnotherapy script for hypnotherapists treating the fear of flying. 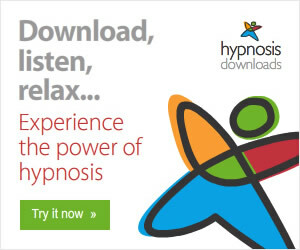 © Antonia Harrison 2009 is the English Hypnotherapist & NLP Practitioner in Belgium and recommends Download Hypnosis Mp3 for immediate, affordable hypnosis Mp3s to improve your life.